Collins Booksellers - Get Locked-In: Mastering the Art of Laser Focus to Achieve Your Dreams by Kelly Cole, 9781370474073. Buy this book online. Everyone has goals that need to be accomplished and if you are one of many that desires direction in reaching those goals, then this is the book for you. If you ask questions like: “Where do I start?” or “How can I really get this done?” Kelly Cole has written the book for you! 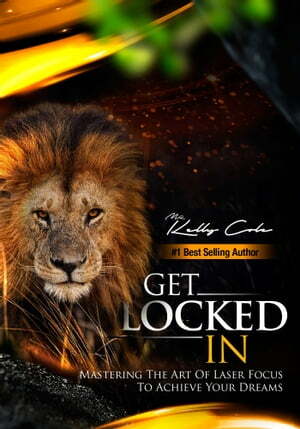 Get Locked in, describes the essential components everyone needs to lock into their vision and accomplish goals. The components are broken down into easy to follow concepts that will make getting locked in something anyone can achieve!